Welcome to the third and final part of the 3 part series on Apps for Personal Trainers and Gyms – How to grow your business. To recap, in part 1 we covered the important topic of Lead generation and the benefits of having your own mobile app for your business. In part 2 we covered referral marketing as well as retention. In part 3 we bring it all together as we cover how you can marketing your App and business in this new age of marketing. We will also cover some of the awesome additional benefits that an App for personal trainers and Gyms can have, so let’s get into it! Effective marketing of your gym or PT business is extremely important. Many businesses use old, outdated methods such as letterbox drops and newspaper ads which are both expensive and hard to track. A mobile app gives your Gym or PT a new age way to market your business effectively and get your business in the pockets of your perfect prospect. You can market the new app using Facebook posts, YouTube videos, banners in your gym, emails to current members, letter box drops as well as referral marketing which we covered in part 2. Another great strategy and one that is booming at the moment is to market your app is using Facebook ads. 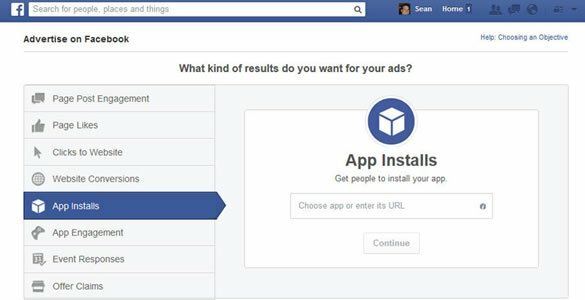 You can create Facebook ads to download your app directly from Facebook. This is a huge benefit for your business because when people click on the ad, the link to download your Gym or PT app will be on their phone, ready to download. What’s the first thing they do when they download your app? They sign up for a free trial. This method of marketing is not only extremely cheap, but also very effective. With your Facebook Ads you can target your marketing so your Ad only appears for the exact people you want to reach. You can target people by their location, age, gender, likes, interests and a range of other criteria. So rather than wasting a ton of money on things that produce little to no results such as a letterbox drop, you can advertise directly to your target market for cents on the dollar. Another great strategy is to do some offline marketing in shopping centres or other locations where you speak to the public directly. Rather than hand them a flyer you can get them to quickly and easily download the app and apply for the free pass straight away. You will then have their contact details and can also keep in contact with them with push notifications in the future. A custom mobile app offers many additional features to benefit your members and keep them using the app over and over again. The key is to keep them coming back so they remain connected and also continue referring all of their friends! Meet the Trainers – You can upload profiles of your staff members including image, qualifications, interests, training areas, etc. People can view all of the trainers to find one that suits their specific needs. They can then fill in a free consult form to speak to that trainer! Image Gallery – People love to get a feel for your gym or PT studio. The image gallery gives you the ability to showcase your services and facility and create a great first impression. Blog Feed – Imagine linking up your website blog with the app so people can read the latest news directly from the app! The key is providing consistent, ongoing value to remain connected with your members. YouTube Videos – You can also feed your latest YouTube videos directly to the app. Videos can be a great tool to provide tips on nutrition, recipe ideas, meal plans and the latest training programs. Contact Details – Members can view all of your contact details at the tap of a button including phone, address, google map, enquiry form as well as all of your social media sites. Advanced Features – The best thing with mobile apps is that they can be customised to suit your specific requirements. Private Facebook Groups, PDF Downloads for members, Instagram photo feeds, shopping carts, PayPal integration. The sky is not the limit, the only limit is your imagination! The health & fitness industry is booming and there is so much opportunity to create an incredibly successful business. The market is also inundated with competitors and the fact is that 90% of business owners will fail within 2 years. What are you going to do differently to ensure you achieve success? Effective marketing is all about branding and creating an amazing first impression. Creating a professional presence and being at the forefront of innovation and technology is a key element in being able to attract new members to your business. When people see that you have a mobile app they will automatically assume that you have a quality business. It could be the difference between choosing you or choosing a competitor! We estimate that 99% of Gyms and Personal Trainers don’t have a mobile app for their business. There is a huge opportunity to get ahead of the pack and start utilising a mobile app to attract leads, referrals and to add value to your current members. If you want your business to stand out from the crowd and gain an edge on your competitors, submit an enquiry form for more information on the website and we’ll be in touch to help you get your own custom mobile app today.